Many of you know that I worked with him on countless projects spanning some 18 years. I have had the opportunity to meet and work with many "famous" people, but none more interesting or polarizing than this man. When people learn that I worked with him for such a long period of time, they are understandably curious. Typically, the opening line is, "So, was he as weird as he seemed?". But I can't really blame them. The media did a great job of painting him in such a way that it seemed he rode around on a monkey carrying the Elephant Man bones in a backpack wearing pajamas on his way to a Boy Scout camp. Recently an article was published by a friend of mine in the Huffinton Post. It went into great detail about how out of line the press was during his 2005 trial. The event became a global media circus, with soundbites and sensationalism taking the place of facts. When 14 jurors found him not-guilty, the story was over and the tents were packed up. It is not my job to convince you that he was innocent or "normal." I can only share memories of working with him in the studio and at his home, known as Neverland Valley Ranch. When I wrote the following article shortly after his death, I received countless notes of appreciation for introducing people to the artist that I knew. I will continue to write and compile these stories, as he was a truly unique individual, and he deeply impacted my life and career path. If you can turn down the media madness for just a few minutes, I would like to tell you about a friend of mine that died a year ago. His name is Michael Jackson. 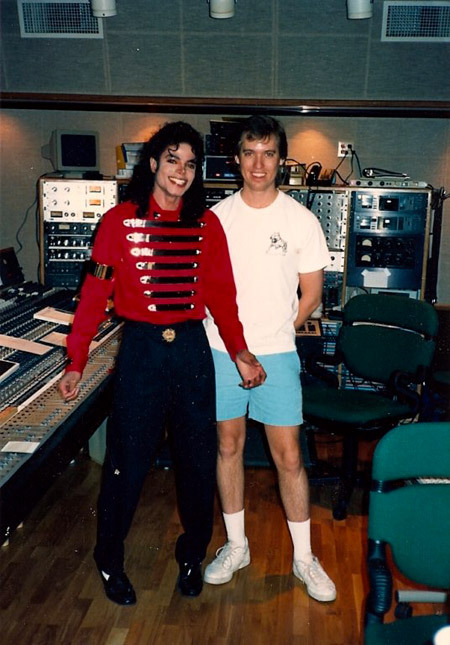 In 1985 I got married, got my first job in a recording studio (Westlake Audio), and met one of the kindest young men I have ever known, Michael Jackson. Quite a year. To Brad and Michaeleven attempt to sum up a nearly 20 year working relationship and friendship with Michael in one article is impossible, but let me try to give you a glimpse into the incredible world I was privileged to be a part of. Michael was working on Captain Eo for Disneyland and Epcot Center. He was fresh off the Victory Tour, the Thriller album, his dominance of MTV, and he was back in the studio. I wish I could remember our first meeting, but it was likely just passing each other in the hallway. He was always warm, yet shy. Over time we would chat now and then, but it took time to build the trust. Around that same time he did an often forgotten album, The ET Storybook. This was when I met Quincy Jones and Bruce Swedien. Early in 1986 the team moved into Westlake Studio D in Hollywood to record the BAD album, and welcomed me in. I worked other sessions during the day, but at night I was invited to sit in and learn. Eventually I worked my way up to technical director for the team, and the trust was solidified. It was during this time that Michael nicknamed me "Really Really Brad," a twist on the chorus, "Bad, Bad, Really Really Bad." Check the album credits, it's there. Over the next ten years I worked with Michael doing tour prep for the BAD tour in 1988, then back in the studio for the Dangerous album in Los Angeles, followed by the HIStory album in New York. Toss in countless music videos, the HIStory tour, the Moonwalker project, Blood On The Dance Floor album, and various side projects, and I got to know him pretty well. So who was Michael Jackson, and why did he have such a profound effect on my life? Not for a moment do I pretend to have been a close friend of his, or a confidant. Rather I worked for him and with him, and considered it an honor. He was a consummate professional. If his vocals were scheduled for a noon downbeat, he was there at 10 am, with his vocal coach Seth, singing scales. Yes, scales. I would set up the mic, check the equipment, make coffee, and all the while he would sing scales for two hours. He typically drove himself to the studio alone. For a while he drove a big Ford Bronco with dents and scrapes on it. He was not a great driver. More than once he called into the studio to say he would be late after being in a fender bender. He was intensely curious about "normal life." He asked me about Christmas once, and couldn't understand how kids could wait until Christmas morning to open the gifts. You see, he was raised Jehovah's Witness, so Christmas was not celebrated in the Jackson family. Since I was so close to this world, let me try to give you some insight. A "typical" MJ album would take between 10 and 16 months in the studio. His budget allowed for as many as 100 songs to be recorded for any given project. Some would be discarded early on, while others were fine tuned. Musicians would be brought in to add their textures and ideas, but in the center of it all was Michael. The team was remarkably small given the scope of the projects. Each project was slightly different, but typically there were less then eight of us working day to day, from the first day until the project was mastered. No entourage. No Elephant Man bones. No groupies. No drugs. Just music. And food. During the BAD album, Fridays quickly became known as "family day." He would have his two chefs, affectionately known as the Slam Dunk Sisters, prepare a large dinner for the crew, musicians and any family members that might be around. Since I was working sometimes 80 hours a week, it was not uncommon for Deb to come have dinner with us. Michael loved these family get togethers. In later projects I would bring my girls, whom he loved and would play with. There is one moment in time in my head when Deb brought my daughter Amanda, who was just a baby at the time, into the studio for the afternoon. She set up a play mat and brought some toys, and Michael sat and played with her for a while. He looked at Deb and said, "This is her own little world, isn't it?" When you work in this environment, your sense of normal begins to shift. It was not uncommon for celebrities or VIPs to stop in. One day the Secret Service searched the building for a couple hours before Nancy Reagan came for a visit. Next it was Princess Stephanie from Monaco. (She has a cameo on the song "In The Closet.") The chimps were common guests in the studio, as was a giant snake, both of which I would wind up holding during MJ's vocals. 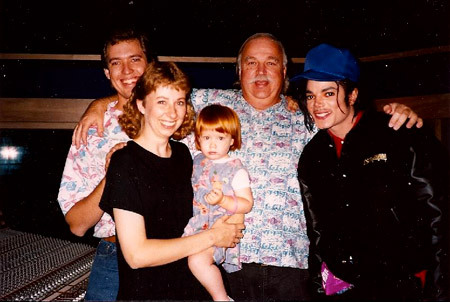 Michael loved mixing fun and work, but work always came first. I have watched him write many songs, and the process is amazing. I asked him where they came from, and he said they were gifts from God. He could hear the entire song in his head before we could get tape on the machines. He would sometimes sing the drums, bass, percussion, keyboards, etc., and we would later bring in musicians to replace his demo tracks. His lounge would be decorated with Disney posters and old Hollywood memorabilia. He loved innocence, and displayed gentleness, humor and patience. This driving work ethic also had to escape from time to time. There were many days we would show up at the studio, only to find he had flown to Europe or Japan for a few days, and neglected to tell us. This sometimes meant an unscheduled few days off for us, which was awesome. There were however memories that he would sometimes share about the endless travel and work schedule when he was just a boy. I remember him telling me about grown women throwing themselves at him when he was just 9 or 10 years old. One story I will never forget was him telling of flying with his dad and brothers through a lightening storm at night. The plane was being tossed around, lightening was flashing, and he started crying in fear. His dad ignored him, embarrassed. A flight attendant sat with until the plane cleared the storm. Hearing him tell that story, with tears in his eyes, gave a glimpse into his life. 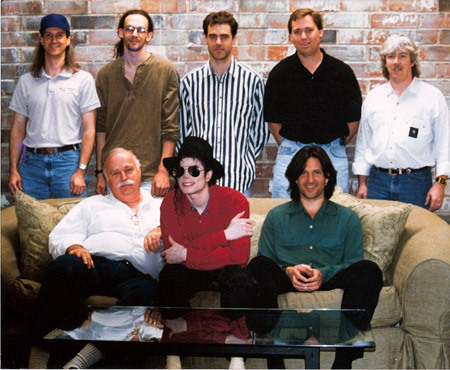 There are few people I have worked so closely with for so long than Michael Jackson. There were many months when I spent more time with him than I did my own wife. Somewhere around 1991 he asked me to visit a ranch he had purchased, and design a sound system for a carousel. The next thing I knew I was at Neverland Valley Ranch, in Santa Ynez, CA. There was construction everywhere, and the amusement park was in the early stages of installation. Over the next few years Michael asked me to build system after system, putting music on the bumper cars, in the petting zoo, on two trains, all around the amusement park, the boat lake, the train stations, and eventually inside the house, and inside his bedroom and bathroom. Deb loves to tell of the times Michael would call at 2 in the morning (his sleep schedule was never normal) to talk to me about a new attraction he had coming to Neverland, and if I would put music on it. I still have an old answering machine tape of him thanking me for one of the systems we had built. Michael had very little patience when it came to new rides. When the second train was ordered for the ranch, we were flown to Ohio to install the lights and music before it was trucked to California. That way, as soon as it rolled off the truck onto the track it was ready for Michael. He lived for those moments! In it's day, Neverland Valley was one of the most beautiful places I have ever seen. He loved that ranch. He could act like a kid, drive golf carts, throw water balloons and just have fun. Week after week the buses would roll in, bringing inner city kids, Make A Wish kids, friends and families. I have been there with sick kids whose dying wish was to spend a day with Michael. 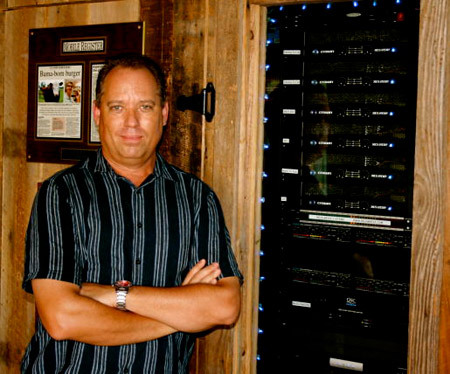 As Neverland grew, I got the bug to continue building systems, and eased out of the recording studio. Soon I was working for Elizabeth Taylor, building a massive outdoor music system for her, followed by my good friend Quincy Jones. This was the Michael I knew. Innocent, perhaps child-like at times, but not childish. A professional who worked to be the best performer in the world, yet knew how to have fun. If he was comfortable, he would laugh and joke with everyone, but if someone was there that made him uncomfortable, he would disappear. We used to say there were two Michaels: the one we worked with, and the one who went on stage in front of 100,000 people and entertained them. There have always been singers and dancers, but Michael was in a class by himself. I have been to perhaps 12 of his concerts (my daughter Amanda was on stage with him in Paris with several other kids singing "Heal The World"), and there is really no one that comes close to his level of artistry. Yes, there were allegations. No, I don't believe them. Yes, he changed his color and facial shape. No, I really don't care. I have worked with plenty of normal looking people who thrive on pain and anger. I'll take a guy who might be a bit eccentric yet shows kindness, love, generosity, patience, humor and humility any day of the week. I could write page after page of simple acts of kindness I have seen firsthand. (...) The last time I spoke with Michael was around 2003. He wanted some additional work done at the ranch, but clearly things had changed. It was an awkward conversation between us, with me declining to do the work for what he was offering. Then he drove away in a golf cart. As I walked to my car, I knew it was the last time I would ever see him. I remember looking across the valley with the amusement park well past it's prime, the grass not as green as it once was, and Michael driving over the bridge back to his house. I was a long way from that hallway in a studio where we first met nearly 20 years before. But I would not trade a minute of it. Thank you Michael, for letting me be a small part of your world. You have taught me more than you will ever know. Your friendship and trust is something I will always cherish. Rest in peace my friend. Michael Jackson is so innocent and he just wants to live a normal life but media didn't let him. But he didn't stop spreading love and complete doing good deeds. The media reflected a bad image of an angel. Some people believe it and some don't. But I'm sure, if ANY person tried to work with Michael or talk to him, he'll find him a very good person!